Photographed a frog, but have no idea what it is? 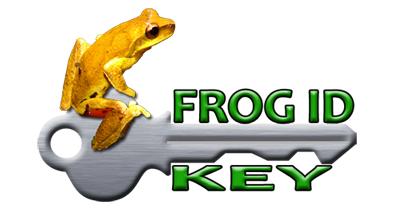 Introducing the Frog ID Key. It's not a literal key (obviously...), but rather a simplified taxonomic key allowing anyone to use straight-forward filters to match to the frog in question, until but one or a few species remain. The key includes almost 50 species found from Rockhampton to the QLD/NSW border and west to include several species from the Darling Downs. The Frog ID Key is accurate enough to incorporate published species descriptions, but flexible enough to account for interpretations made by users. Frogs in the Fraser Coast/Bundaberg, Burnett, Gympie/Mary Valley, Somerset, Toowoomba, Sunshine Coast, Moreton Bay/Caboolture, Brisbane, Scenic Rim, Ipswich and Gold Coast areas are all included in the Key. • Begin with the most obvious characteristics. If uncertain, skip a filter. • Not all species images below represent all variation (e.g. colours) within each species (e.g. 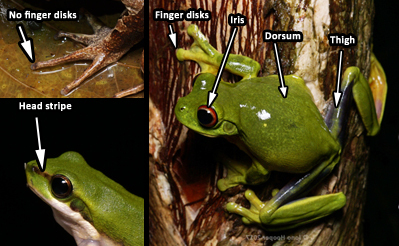 Green Treefrogs can be green, brown or rare blue in dorsal colour). • These keys have been applied to the adult form of each species. Thus be mindful of this if trying to key out a juvenile/sub-adult frog.